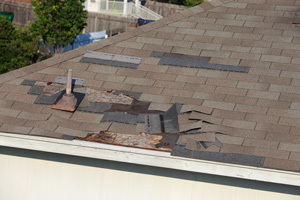 Are you in need of roof repairs? RoofRoof services Greenville, Spartanburg, Easley, and most areas nearby in South Carolina! Call us today to schedule a free roof repair cost estimate. This Taylors home suffered from hail damage. The customer chose Owen's Corning Supreme shingles in Onyx Black for the full roof replacement. "When we had a major hailstorm in the area, dozens of roofing companies..."
When we had a major hailstorm in the area, dozens of roofing companies (many itinerant) canvassed our neighborhood, ringing doorbells. Sean left a Roof Roof doorhanger with info. I made the decision to call him. He was very responsive/knowledgeable. We were in charge of the process the whole time, and it was compatible with our insurance settlement. "Referred by a friend, and I'm very pleased by the service and..."
Referred by a friend, and I'm very pleased by the service and professionalism of every employee that helped and talked to me through the process. "Have worked with Sean Mowery 2 years in a for roof and siding replacement..."
Have worked with Sean Mowery 2 years in a for roof and siding replacement. He is always responsive and knows the business inside and out. Highly recommended. "The reviews online were excellent"
"The crew made sure that the yard and outside area was thoroughly clean. We..."
The crew made sure that the yard and outside area was thoroughly clean. We Didn't even find any nails on the ground. "My insurance adjuster recommended your company. I'm so glad that he did..."
My insurance adjuster recommended your company. I'm so glad that he did. Within an hour of talking with Sean, the job was completed. INCREDIBLY IMPRESSED. I was texted pictures of the work being done and the completed work. I am grateful to Roof Roof and will recommend them to anyone needed these repairs on their homes. "Good responsiveness, fair prize, good work, poor attention to detail." Good responsiveness, fair prize, good work, poor attention to detail. "VERY IMPRESSED WITH MATT BENSON AS THE CONSULTENT, LIKED THE FOLDER OF..."
VERY IMPRESSED WITH MATT BENSON AS THE CONSULTENT, LIKED THE FOLDER OF INFORMATION AND THE ACCURENCY OF THE REPRESENTIVES. "We met Matt Cheney at a Home and Garden show in Greenville. I also have a..."
We met Matt Cheney at a Home and Garden show in Greenville. I also have a co-worker who had Roof Roof out to their house to fix their roof. When it came time to have someone look at our own roof, we didn't bother calling any other company. Everyone we had contact with was exceptionally helpful. Good service, prompt and priced fairly. Win, win, win! "The home consultant was personable and gave the home owner a sense of..."
The home consultant was personable and gave the home owner a sense of confident. The quoted price was not the lowest and not the highest. The soffit (wood or metal panel on the underside of the roof's overhang) and the fascia (vertical board that runs along the roof line) are both at risk for water damage over time. Animals, (such as birds, squirrels, and raccoons), like to nest in the soffit, and soft spots in the wood caused by rot will make it easier for them to gain access. We can inspect your roof for wood rot or hail damage and make the proper repairs to best restore your roof to its full functionality. You want to be able to rely on a roofing contractor you can trust, which is why RoofRoof is here to help you. We solve a wide range of roofing issues, from leak repairs, to emergency roof repairs, damaged shingles, or even signs of wood rot and aging. If you live in Greer, Anderson, Greenwood, Simpsonville, Gaffney, Taylors, Hendersonville, or any area nearby, contact us today to schedule your free roof repair cost estimate or, if necessary, roof replacement.